When parking at AWJ Penrith Truckstop you can rest easy knowing that there is a security guard permanently on duty and a 24/7 CCTV system watching over your valuable loads. With space for almost 200 vehicles and a dedicated fridge parking and changeover area you are almost certain to find a quiet peaceful place to rest your head for the night. The barrier system offers a simple hassle-free way of access to the site and the floodlights across the park will help you find your way around. We have also made paying for your parking even easier with Snap Accounts now recognised. Please note, all parking on a weekend must be paid before 12pm Saturday, otherwise payment will be made on account. If you would like to create an account, please contact us. If you would like to set up an account, please ask to speak to the Truckstop Manager. And don’t forget, you can now pay using your Snap Account as well. 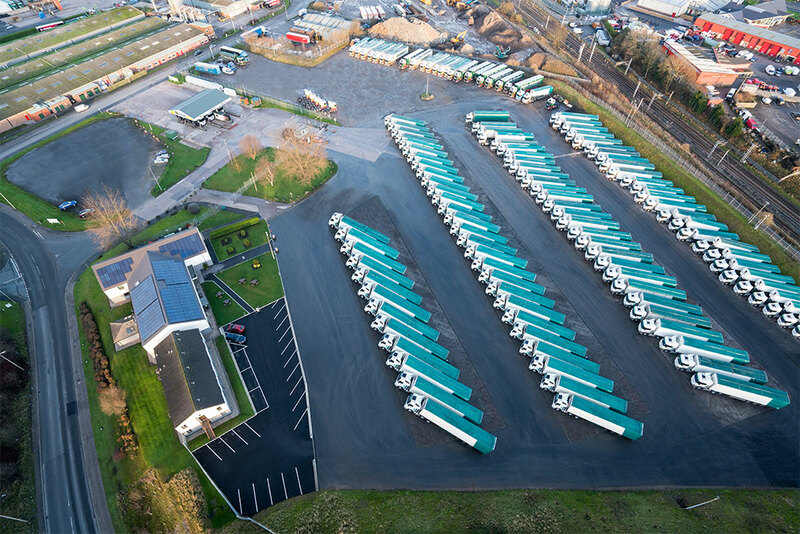 Our large forecourt is fully automated with two terminals operating 7 Diesel pumps, 2 Ad-Blue pumps and 2 Gas Oil pumps and we accept both UK (Allied Fuels) and Keyfuels cards. The forecourt is open 24/7 365 days of the year, so we will always be available for you to fuel up. We understand the importance of safe and clean fuelling up and offer both gloves and paper towels for your convenience. The forecourt also has a drinks vending machine for when the main building is closed or if you just don’t have the time to visit the main building. There is also a drinking water tap available for you to top up your water supply. 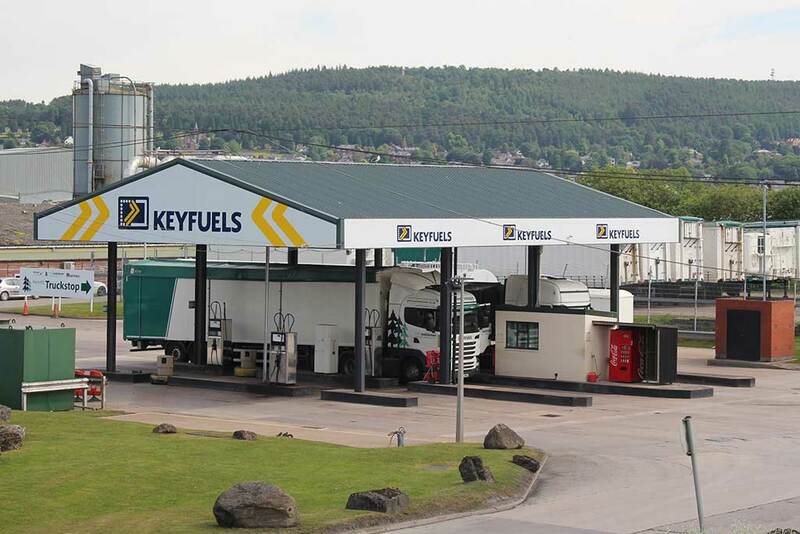 Unfortunately, we cannot currently take cash payments for fuel so if you are visiting us please be sure you have either a UK Fuels or Keyfuels card.